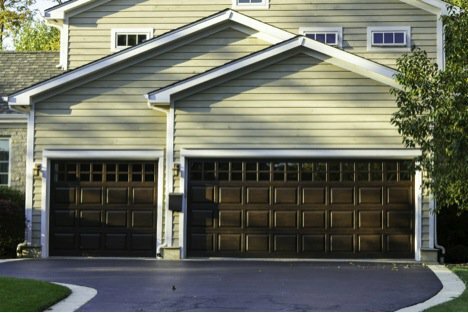 The next time you drive through your neighborhood, take a moment to slow down and look and see how many of your neighbors leave their garage doors open. It is fairly common for people to leave their garage doors open all day long while they are away at work or out running errands. Crime and home break-ins may not be thought to be a problem in your community. However, when home robberies do occur, chances are, the robbers cased your neighborhood to identify homes where the garage doors were left open. Those houses are normally the ones broken into. Aside from simply walking into the home through the garage because the garage door was left open, other ways people can break into your home have to do with a lack of proper garage door security . A short time ago, videos circulated online showing how easy it is for thieves to slip a wire coat hanger through the top of the garage door and pull down on the door’s emergency release. 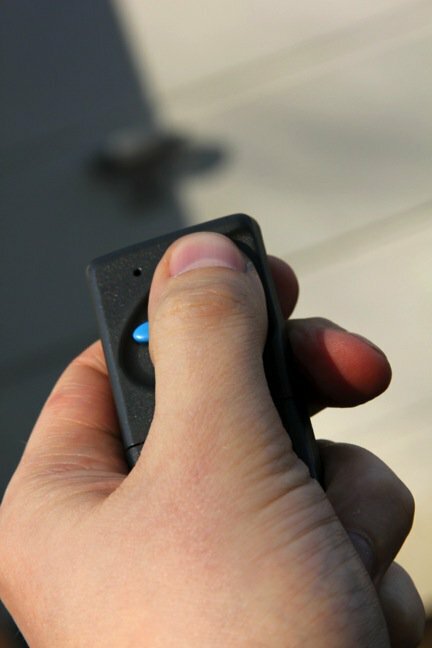 Another way thieves can break into the home is when you leave your garage door remote control in plain view inside your vehicle. All a robber has to do is follow you around to find out where you live, and then, once they know the house is empty, break into your car and steal the garage door opener. Yet another way someone could break into your home is if your garage door is not well-maintained. If it is damaged, where part of the panels have large gaps in between, or there are cracks or openings, it can make it easier for a robber to get into the home. If there are other issues, like the automatic opener stopped working, so you leave the door unlocked when you pull it down and head off to work, the thief could simply walk up and pull on the door to see if it opens. If it does, then they break into the home. Low-quality doors can also be an issue in older homes in Florida. These doors are easier to hack and get opened. There are now hurricane garage door installation building codes , so new doors are more secure and provide better protection from storms and to keep out burglars. Additionally, some home invaders gain access to the home through the windows in your garage door or garage. While the extra light is nice, it does provide an easy access point for robbers to get into the garage and, potentially, your home. Do I have a bad habit of leaving the garage door open or forgetting to close it? 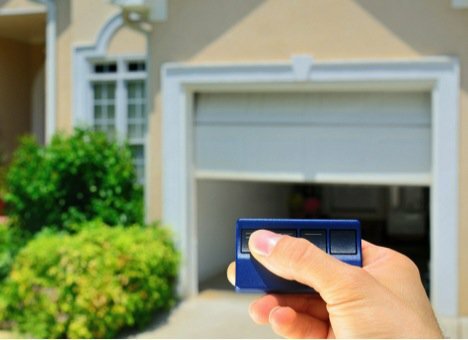 Do I leave my garage door opener in plain sight inside my vehicle? Do I have an automatic garage door and the emergency release is not secured? Are there windows in my garage door or garage? Is my garage door in need of repair or replacement? Is my garage door more than five or ten years old? Always keep the garage door closed. 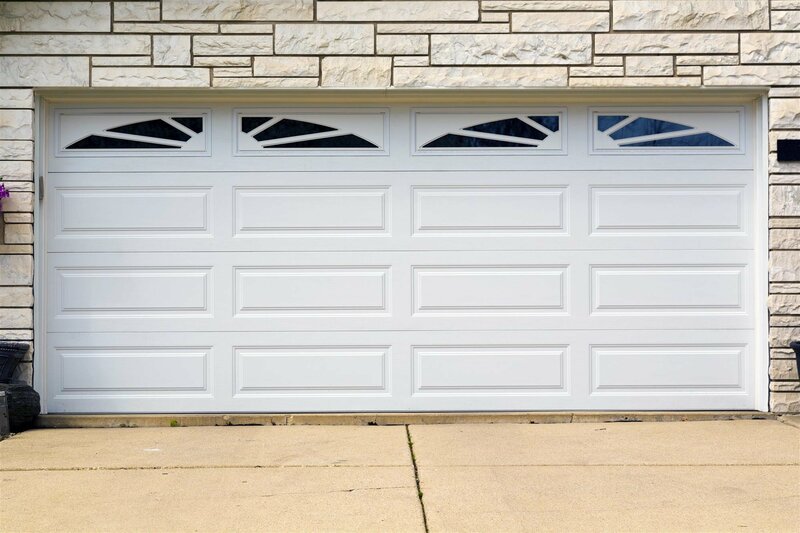 It can be easy to drive off assuming your garage door is closing because you pressed the button. However, it if is windy or rainy out and something blew in front of the bottom door sensors, this might have stopped it. Make it a habit to back out of the garage and wait for the door to fully close before driving off. Add a garage door open detection device. There are different devices you can have installed that will send an alert to your smartphone through an app whenever the garage door is opened or was left open. Using the app, you can remotely close the door. Always keep your garage door opener out of sight. Get rid of that big bulky opener and upgrade to a smaller one you can keep on your key ring. Better yet, upgrade to smart technologies and use an app on your smartphone as your automatic door opener instead. Cover up windows to make it hard to see inside the garage . You don’t have to get rid of any windows you have in your garage—just make sure they are secure. You can use different reflective films or blinds to cover them. You may also want to add window security bars on the exterior for added protection. For glass windows in your garage door, you can have the panel removed and replaced with a solid one, or swap out clear glass for frosted glass. Have regular maintenance performed on your garage door. 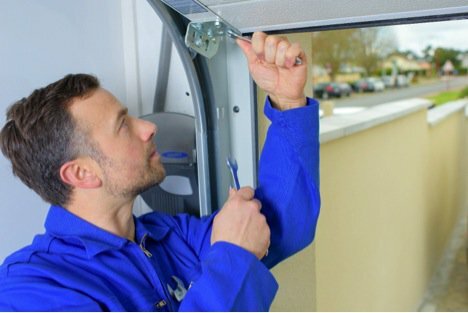 Annual maintenance from a qualified garage door technician can identify potential problems and security risks to keep your home more secure. 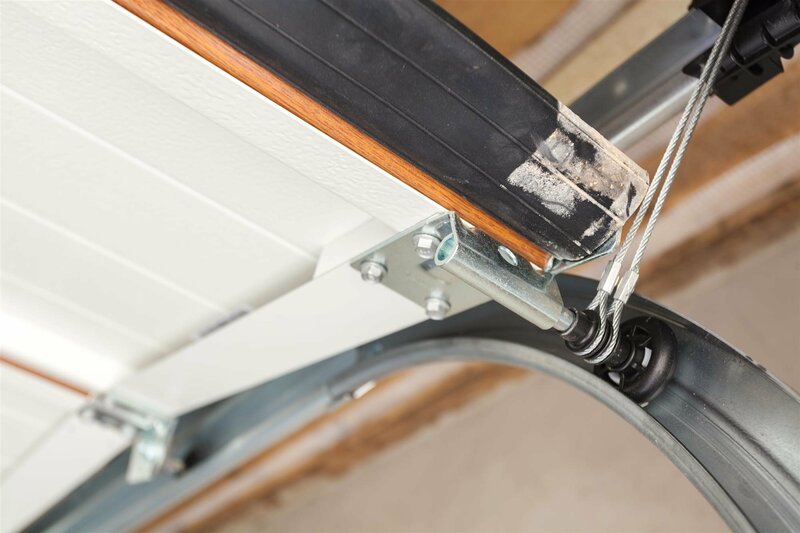 Upgrade to a better-quality garage door. 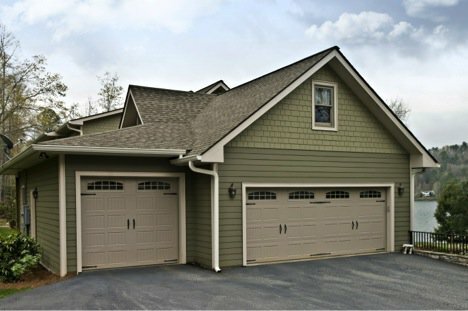 Select a thicker door and one that has hurricane protection features if you decide to have a new garage door installed. Secure the automatic garage door emergency release mechanism. There is a simple and easy way to do this using a plastic zip tie. Pass the zip tie through the metal opening in the release mechanism and fasten it tightly. If you pull down gently on the emergency release, the door should not become disengaged. 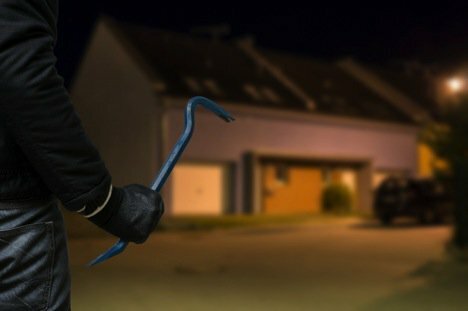 This will prevent thieves from using the coat hanger hack to break into your garage. A coat hanger is not strong enough to break the zip tie. In the event you need to release the door, if you pull down with sufficient force, it will snap the plastic zip tie. Always lock the door in between the garage and your home. Another bad habit many people have is to leave to door in between the garage and the home unlocked. Get into the habit of always locking it when you leave the home. Add a deadbolt to the door in between the garage and your home. If the door in between your garage and home does not have a deadbolt, have one installed. This will make the door more secure from break-ins. Install a security system with video cameras. 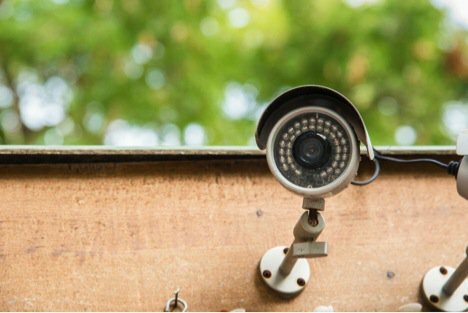 You can install a home security system with video cameras outside the garage door and the other doors to your home. You should also consider having window sensors and glass-break sensors installed. Both of these sensors will set off the alarm if a window is opened or broken. Install lighting around the garage and home that have motion sensors. Make sure the area around the garage and home is well-lit during the evening and nighttime hours. Doing so will make it more difficult for robbers to break into your garage and your home. Lock your garage door if you will be away from home for an extended period of time. 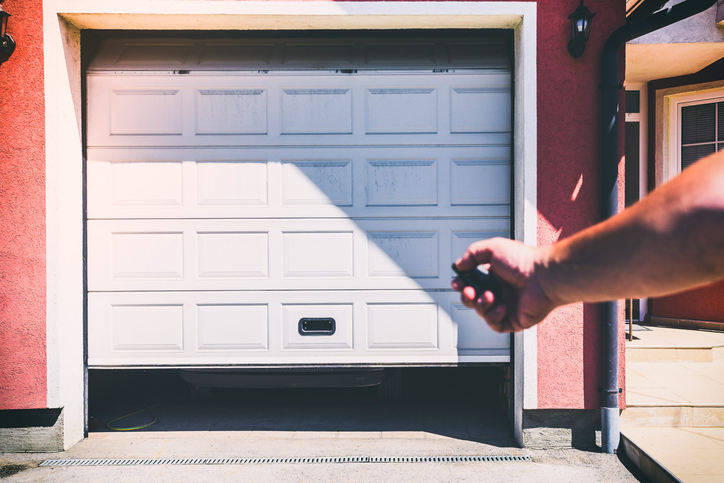 It might seem like a pain to engage the locking mechanism on the door, but doing so makes it harder for someone to break into the home through the garage. By completing a security risk assessment for your garage door, garage, and home, you can take steps to make your home more secure while reducing the risks of a potential break-in. To schedule garage door repair and maintenance, new garage door installation , adding new security features to your garage door, or assistance in performing a security assessment on your garage door, please feel free to contact A1A Overhead Doors Company at (904) 821-8463 today! We provide quality garage door services in Jacksonville and the surrounding areas in Florida. 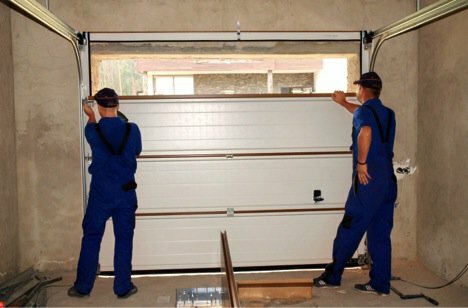 Garage door installation in Jacksonville is important, and not only for protecting your car and home. Nowadays, homeowners are coming up with alternative and creative uses for their garage space. That does not diminish the importance of garage doors of any type. From wood and vinyl to ultra-strong materials such as aluminum and steel, the door you choose is essential for its functionality and your peace of mind. Let’s assume you’re intrigued by possible ideas for your garage. Here are some creative options to help you more effectively utilize the available space in your home, and to help you appreciate what goes into installing, upgrading, and repairing your garage door. Some divide their garage into zones for specific tools, equipment, and purposes. This is doable if you organize everything right; many people choose to convert their entire garage into a fully functional accessory room. Embarking on the following garage projects warrants at least a look at your door and whether garage door repair in Jacksonville is necessary. One of the most productive uses for a garage, a home office sets aside workspace where you can concentrate without typical household distractions. It also saves valuable bedroom or living room space. Set up your desk, computer, printer, file storage, and Wi-Fi with adequate lighting, and your work can be effectively separated from your home life—without that dreadful commute. You could also spruce up a bland garage feel with fresh paint or a compact refrigerator, for hydrating drinks and refreshing snacks during the day. Only about 20% of U.S. adults get enough exercise to lower their blood pressure and strengthen their muscles. 2 The American Heart Association recommends 90 to 150 minutes of exercise (aerobic or dynamic resistance) per week, but it’s challenging for many people to find the time/facilities for such activity. That is, unless such accommodations are made in the home. 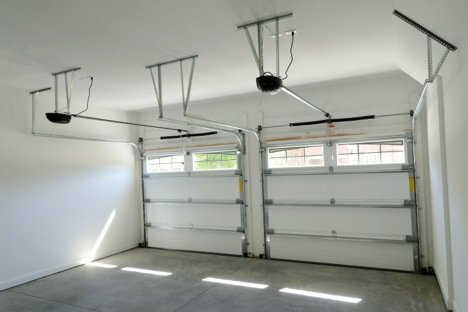 A garage is an ideal spot to store exercise equipment. Aside from the best garage doors Jacksonville customers have installed, the setup can be as simple as a foam/rubber mat, a weightlifting bench and racks, or a treadmill. 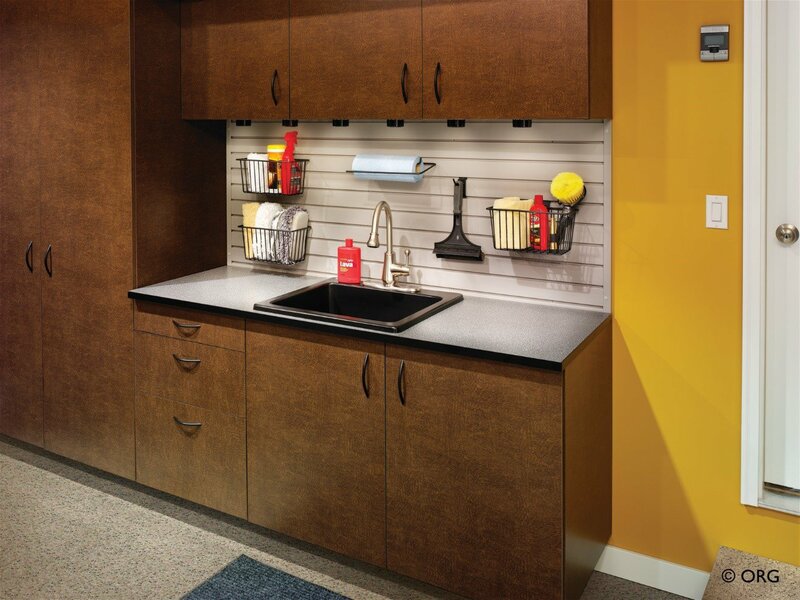 You could add overhead storage or cupboards for water bottles and towels. For more heavy-duty equipment and aggressive workouts, you may want to add ventilation or extra supports for the floors and walls. Kid’s Play Areas : A typical garage has plentiful space to store toys and games. Also, children don’t have to worry about being too loud or creating a mess. You can even hang bins, chalkboards, and easels on the walls. A large chalkboard or whiteboard is great for drawing. Kids can pretend to draw right on the walls without damaging anything. You can make the room safer with carpet tiles, which are easily replaced, and carpet or padding around metal poles. By insulating the door and walls, the temperature can be kept more comfortable. Children can, therefore, have a safe, enjoyable designated room to play in without distracting anybody. Game Room : Children, teens, and adults can have fun where they can easily reach board games. A computer gaming console, pool table, and/or dartboard can be added to maximize the functionality and fun. Add shelving for storage and dust covers for even more versatility. Teen Hangout : Teenagers are notorious for craving their own space. Just add some loungy furniture, a mini fridge, cool paint, a TV, and a sound system, and your teen is well-accommodated. A little soundproofing will keep the rest of the house quiet. Hobby Space : A garage is also the perfect hideaway to pursue hobbies, from art to engineering. It leaves your supplies out of the way and provides extra room for unfinished projects. The garage is versatile enough to accommodate hobbyists who are into painting, woodworking, robotics, and even gardening. If using the space as a craft room, many types of storage systems can help you store and organize supplies. You can install bins, slat boards, or overhead storage units. Local garage door installers encounter two ways you can add bedroom space. You could insulate and ventilate the existing space and set up a bedroom set. Electricity is all that’s needed, as plumbing isn’t necessary. You’ll be able to wire lamps, sockets, and devices that need charging. Also, you can set up a bed and/or carpeted areas for air mattresses, too. Building up is another possibility if there’s nothing above the garage. Adding room above doesn’t change the footprint of the home, and it leaves the garage space open for other uses. It nonetheless adds valuable square footage to your living space. If your garage is convenient to get to, you can add room for dining. There’s no reason you can’t add a fully functional kitchen if there’s enough space and cash. However, just a table and some chairs can do fine. If you really want to go all out, open the garage door and set people down with an outdoor restaurant feel—right in your yard. 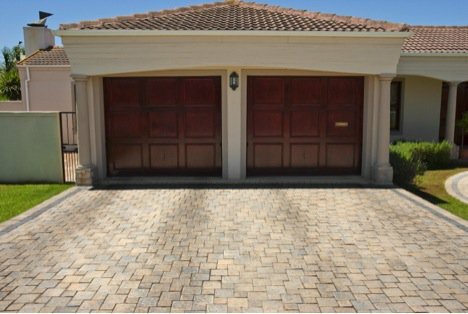 With garage door repair, Jacksonville customers not only secure vehicles or anything else stored within. They can set up a safe, cozy home theater and watch movies. Install insulated walls, a wall-mounted flat screen TV, a high-tech sound system, and Blu-Ray player, and you’ll totally forget you’re in the garage. Buy some high-end seats for maximum comfort. For more convenience, install a refrigerator and microwave, so everything you need is right there, from the beverages to the popcorn. The garage can be converted into an extra room for guests or for you to find solitude. It can suit late night parties, where noise is muffled by the walls, or someone who likes to watch television, play board games, or billiards in their downtime. A bar can even be set up for the occasional drink. Garages are perfect places for sound systems, but they’re also great for band practice. Sound insulation and secluded space to gather are ideal for garage bands. Detached garages work best. In any case, band practice will not disturb other people at home. Homes with small yards can be modified with pet areas in the garage. Install outdoor carpeting or faux-grass floors for dogs and cats to play. Your pets can have as many toys as they can handle. Pet doors can be added for convenience and litter boxes help make things more sanitary. Video makers enjoy the seclusion and privacy that the garage can offer, without any distractions. Create video blogs in which you can talk about video games, movies, politics, or your favorite politics. Film your own projects or even create music or cat videos with your feline friend! Converting your garage can be an intensive, yet exhilarating, undertaking. 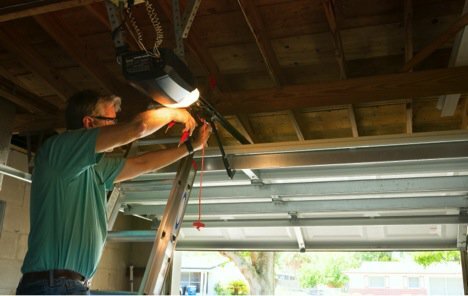 If you’re searching for “garage door installation near me,” A1A Overhead Doors has a choice of materials and types to meet your repair and replacement requirements. Match your home and intended purpose of the garage with materials such as aluminum, which is strong, lightweight, and light on maintenance. Other materials offer more insulation, such as steel, the strongest material available. For garage doors, Jacksonville residents often choose vinyl. Durability is a leading factor. There is no paint needed for these types of doors, either. Some homeowners choose wood doors. Its elegant look adds to the practicality if the door is not directly exposed to high winds. We can also help you choose the right type of garage door. Our local garage door installers can provide you with a modern flat panel door or a more traditional-looking raised panel door with textures for visual appeal. Other options include roll-up doors and carriage types that open horizontally rather than vertically. These provide a more rustic appearance. Aside from the most practical material, homeowners choose their garage doors based on performance, insulation, and interior and exterior finishes. Cost is a factor, as well. Once you identify what you want and can afford, find a reputable company for garage door installation Jacksonville customers depend on. While home improvement stores sell top-of-the-line products, A1A Overhead Doors offers many choices and services, such as spring replacement and door installation. We also supply customers with the newest garage door openers. We supply door systems from major manufacturers, such as Amarr, Clopay, Linear, LiftMaster, Genie, Craftsman, and Stanley. Our pricing is competitive, and free quotes are available over the phone, so you can plan according to your budget. Family owned and operated, we’re open seven days a week and provide same-day service. Homeowners don’t need to worry about their safety or when garage door repair in Jacksonville will be completed. Contact us on our website or call (904) 821-8463 for a free estimate and to discuss your garage conversion or repair project in Jacksonville and surrounding communities.